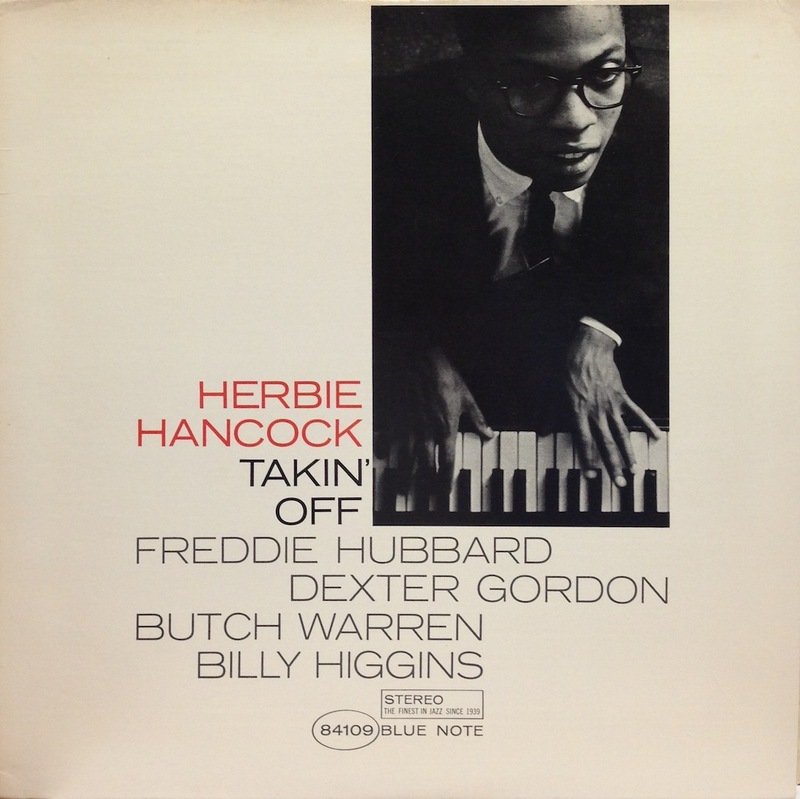 With the authority of a seasoned jazz personality, Herbie Hancock delivered his Blue Note debut as a leader in 1962, Takin’ Off. Astunning hard bop debut that hinted at post bop things to come. Around 1962, front-line hard boppers, particularly at Blue Note headquarters, were steadfastly developing an ear-catching dialect to the language of jazz. In hindsight, it is beautiful proof of the all-inclusive nature of jazz that these developments, plus gospel-drenched hard bop, plus the major happenings of the day (the envelop-pushing of Ornette Coleman, John Coltrane, McCoy Tyner, Bill Evans), ran a simultaneous course. The stakes were raised and young Hancock wasn’t about to perform below par. His confident playing and composing amidst a bunch of top-rate, contemporary players, including ‘comeback’ legend Dexter Gordon, is striking. A year later, Miles Davis, another major jazz force, would ask Hancock to join his group, the stellar one which included Wayne Shorter, Ron Carter and Tony Williams. Jazz at a peak, not least because of Hancock’s innovative harmony, voicing and rhythm. During his period with Miles Davis, as is well documented, Hancock himself would deliver albums on Blue Note that defined the post bop style and remain influential to this day, notably Empyrian Isles in 1964 and Maiden Voyage in 1965. A succesful career path was laid out that would include the fusion of his Mwandishi group, the jazz funk of Headhunters and much, much, celebrated more up until the 21-st century’s schizoid present. Clearly, an experimental spirit had fared into the bespectacled Hancock who peered at your open zipper on the cover of Takin’ Off. It depicts a gentleman whose attire oozed the impression of a kid that fills his evenings with chemistry tests in his granny’s attic. At the dawn of the sixties, the prodigy was taken under his wings by trumpeter Donald Byrd. Prior to Takin’ Off, Hancock debuted as a recording artist on Byrd’s Royal Flush, followed by the Donald Byrd/Pepper Adams Quintet’s Out Of This World and Byrd’s Free Form. Dexter Gordon’s carefully crafted, behind-the-beat blues story is also a big treat. It blends well with Hancock’s ready and able piano comping, while Hancock includes in his poised solo a number of gorgeous, rollicking cadenzas suggesting both Earl Hines and Maede Lux Lewis. The sound of the piano is round, transparent and upfront, as if Hancock’s playing beside you at the bar. Splendid acoustics at the high-roofed joint in Englewood Cliffs, courtesy of the recently deceased master of modern jazz engineering, Rudy van Gelder. The inclusion of Dexter Gordon on Takin’ Off has been an obvious delight to many, yours truly included. Gordon, fresh in the act of an iconic comeback on Blue Note in the early sixties after a troubling, preceding decade that was largely wasted on stints in prison (with early May dates Doin’ Alright and Dexter Calling in the pocket) hits a homerun in The Maze, a tacky tune that swings while incorporating McCoy Tyner’s orchestral voicings. This period saw the influence of John Coltrane on Gordon, whose early sides, strikingly, had captivated Coltrane. Insidiously, Gordon’s resonant, fluent solo in The Maze reaches boiling point. Majestic. Trumpeter Freddie Hubbard is his usual sizzling self, raising the stakes with spirited, virtuoso playing. In the ensembles, the forward motion of Hubbard and the nonchalant beat of Gordon create a pleasant, edgy tension that blends well with Hancock’s old-timey yet sophisticated delivery. Strong points of a flawless, immaculate debut. The chemistry kid had arrived. NEW RELEASE: DEXTER GORDON. In 1972, Dexter Gordon lived in Copenhagen and had been in Europe for ten years. 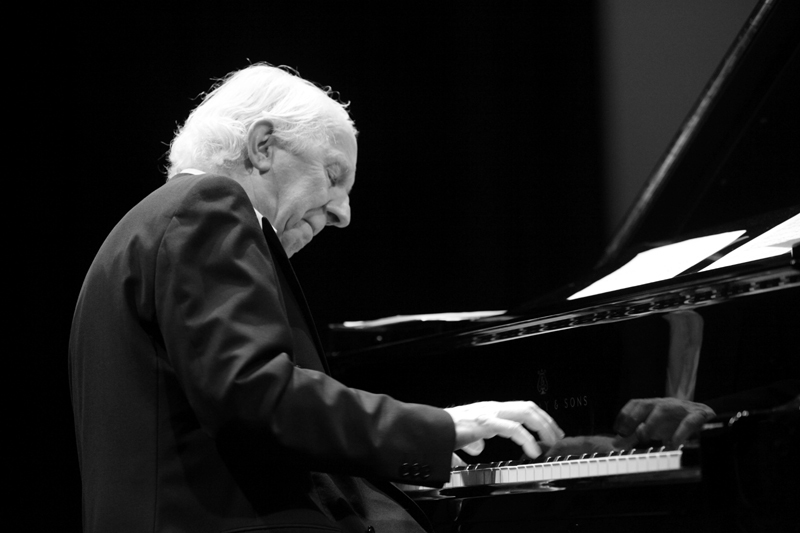 He had usually toured the continent by picking local musicians, but in the early and mid-seventies Gordon commonly played with a Dutch ‘working band’ consisting of pianist Rein de Graaff, bassist Henk Haverhoek and drummer Eric Ineke. In the liner notes of the latest Gearbox vinyl release, Fried Bananas, Gordon’s widow, Maxine Gordon, remembers the expatriate tenor saxophonist being overjoyed by this touring deal. Dexter wrote to friends in Copenhagen: “This tour is quite fantastic; we are traveling through Holland, Germany, Luxembourg, Belge and France! It’s six weeks no, seven weeks and I’m getting rich! Anyway, it’s very well organized and seems to be a succes. For the most part I’m working with the same group…” Fried Bananas, a November 3, 1972 gig at the small town of Heemskerk in The Netherlands, recorded for a VPRO radio broadcast, shows Gordon in top form, relying on a tight-knit trio that knows the kind of muscular, bop-inflected music that the maestro plays inside out. Typical of Dexter Gordon, the 49-year old tenor saxophonist throws himself headlong into his self-penned tune Fried Bananas, taking care of business from note one, telling a big-sounding tale full of behind-the-beat blues, witty asides, barks and wails and an imposing dose of hard bop mastery. He’s in no hurry, unfazed, relentless. The group answers the call of Dexter with zest. Rein de Graaff puts in excellent, flowing statements not unlike those of the former Gordon associate and fellow legend, Sonny Clark. Gordon charmingly introduces Body And Soul: “If you play tenor, you have to play this tune, haha.” It is, however, not often played like this, as the trio lays down a slow-midtempo bounce that brings back memories of the famous Coltrane version on Coltrane Sounds, courtesy of, among other things, Eric Ineke’s lithe counterpoint. Their avant-leaning approach gently nudges Gordon into alleys where carefree, frivolous notes have been waiting to get out of hiding. The other Gordon original, The Panther, was released on Gordon’s magnificent 1970 Prestige album The Panther. It’s a funky, beat-heavy blues, fruitful territory for Gordon’s cliché-free, forceful blowing. In the early seventies, not only the major cities but almost every small town in The Netherlands had a club where jazz was hosted. Remarkable, from today’s viewpoint. The legendary Dexter Gordon graced a myriad of small venues like Societeit Progress in the Lowlands with his hard-boppin’, big-sounding artistry. The historical importance of this release to the Dexter Gordon and modern jazz legacy cannot be overstated. Find the release in store here and check out the Gearbox website here. For further information about the Dexter Gordon legacy, go to The Dexter Gordon Society and dextergordon.com. NEW RELEASE: ERIC INEKE – Watch that ride cymbal beat. Whether it’s Cheese Cake, Sticky Wicket or Soy Califa that the Eric Ineke JazzXpress covers on the Dexter Gordon tribute album Dexternity, it’s the asset that makes this thing swing. If there’s anyone in the European jazz area well-equiped to showcase the music of Dexter Gordon, it’s Eric Ineke. The Dutch drummer worked with the modern jazz legend from 1972 till 1977. Instead of picking local European rhythm sections, the Copenhagen-based tenor saxophonist relied mainly on the highly dedicated and dependable ‘working band’ of pianist Rein de Graaff, bassist Henk Haverhoek and Eric Ineke. Dex, clearly, is in his bones. 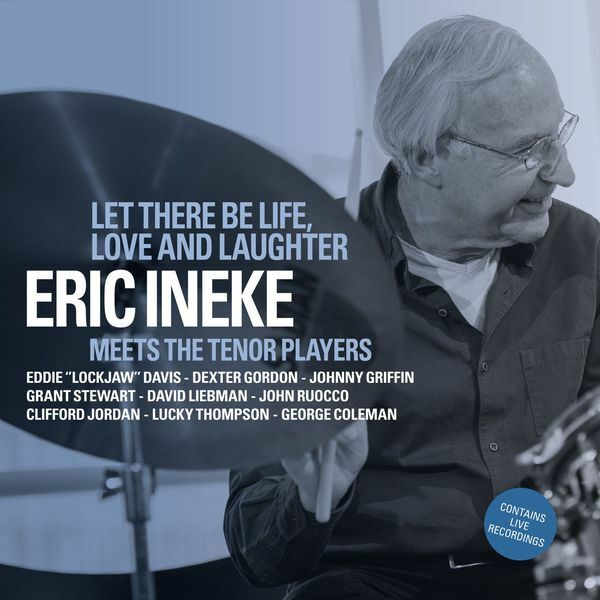 The 69-year old Ineke showcases a hard bop sensibility that permeades the entire set of Ineke’s group, which celebrated its ten-year anniversary this year. His ride gallops frivolously but steadily and his bass kick, single strokes and fills, in responsive sync with the fat-bottomed, tasteful double bass playing of long-time Ineke associate, bassist Marius Beets, ask urgent questions that their fellow members answer with zest: Sjoerd Dijkhuizen, a strong-toned tenorist who likes to reach for fluency in Mobley/Dex-fashion and in the tradition of Dutch hard bop pioneer Ferdinand Povel, has particularly alluring moments in Fried Bananas, taking gutsy left turns away from the changes, embellishing them with an occasional edgy overtone. Meanwhile, trumpeter Rik Mol accounts for a nice contrast with a cleaner, somewhat more understated kind of swing. Ineke freely advocates his fondness for Elvin Jones-type cross rhythm in, for instance, the only non-Gordon tune on the album, Body And Soul (that, as Gordon professed, ‘should be played every night’). Lithe cross rhythm as part of the interaction with soloist Rob van Bavel, who puts in lines of exquisite cadence and breathy voicings. Van Bavel, subsequently, provides lyrical backing on the enchanting Gordon melody Tivoli, a platform for soothing soprano sax statements from Dijkhuizen and, not least, dense, intense harmony of soprano and trumpet. Together Dijkhuizen and Mol sound like sirens luring seamen from behind the rocky mountains of the Greek coast with their ephemeral melodies. Details like these add flavor to a supurb contemporary reading of the real deal, American jazz from the fifties and sixties. Dexternity is The Eric Ineke JazzXpress’ sixth album released by Challenge/Daybreak on September 16. Find the link here. Liner notes by Maxine Gordon and Eric Ineke. Read my recent interview with Eric Ineke, who performed and recorded with a host of American legends, here.